Lionel Hale and Margaret Lane. It was while he was an undergraduate at Oxford University that William Walton first encountered the Sitwell family. Born to musical parents in the Lancashire town of Oldham in 1902, the young William had taken piano, violin and organ lessons, but it was for his singing voice that he was sent to Oxford with a scholarship to become a chorister at Christ Church. Although later he started working towards a Bachelor of Music degree, Walton was eventually to leave Oxford without graduating. It is said that the title of these poems, and subsequently that of the musical composition they inspired, resulted from the judgement of a ‘bad artist, a painter with the side-whiskers of the period but with a name which, as it proved, has not attached itself to the epoch’ who claimed that Edith was ‘very clever, no doubt, but what is she but a façade?’ Although Walton had a reputation as a very slow worker, he claimed to have composed the first version of Façade in just three weeks. It was Osbert who came up with the idea that Edith should declaim her poems through a sengerphone (a kind of megaphone invented by the Swiss opera singer, George Senger, for the use of Fafner, the dragon in Wagner’s opera Siegfried) which would be positioned behind a curtain painted by Frank Dobson, along with the musicians who would therefore also be hidden. The intention was that those present should have the curtain to look at while listening to a human voice ‘speaking, not singing – but speaking at last on an equality with the music’. Thus they had, declared Osbert, ‘discovered an abstract method of presenting poetry to an audience’. The first performance of Façade took place in the first-floor drawing room of 2 Carlyle Square before an audience of painters, musicians, poets and other worthies who were seated on ‘thin gold chairs’. For those who were likely to find the experience unsettling there was an ample supply afterwards of hot rum punch, described by Osbert as ‘an unusual but efficacious restorative’. One of the most enthusiastic listeners was Mrs Robert Mathias, an ardent patron of the arts who, as Helena Wertheimer, had been painted by John Singer Sargent in 1901. (It was in the same year that saw the first performance of Façade that the Wertheimer family presented this portrait to the Tate Gallery.) So keen was Mrs Mathias to hear the work again that she immediately requested that a repeat performance be given some two weeks later at her own home in Montague Square. 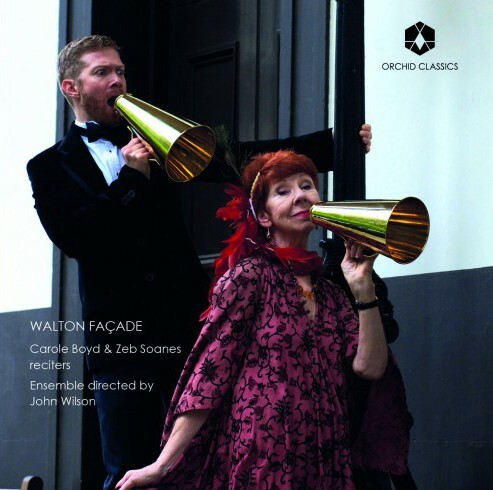 The first public performance of Façade did not take place until 12 June 1923 when a considerably amended version was heard at the Aeolian Hall in London’s New Bond Street with Edith as the reciter and Walton conducting the six instrumentalists. On that occasion the response of the audience was mostly hostile and Edith was warned not to come out from behind her curtain until everyone had left; ‘we had created a first-class scandal in literature and music’, claimed Osbert. Two more public performances took place in 1926, this time at the New Chenil Galleries in Chelsea, and it was at this stage that Constant Lambert started to take over as the reciter. In a interview, many years later, Walton noted that it was over Façade that he had met Constant Lambert who was soon claiming that he could recite it better that anyone else could – and ‘of course he was right’ said Walton. Façade is, indeed, dedicated to Lambert and in the printed score Walton acknowledges him as a collaborator in No.14 (Four in the Morning), the first eleven bars apparently having been written by him. The content of Walton’s ‘entertainment’ changed a good deal between 1923 and 1926 with items being dropped and new ones added from one performance to another. In its final form it ended up with twenty-one numbers set out in seven groups of three, a form which was suggested by Lambert as a parody of the Dreimal sieben Gedichte aus Albert Girauds ‘Pierrot lunaire’ (Three times Seven Poems from Albert Giraud’s ‘Pierrot lunaire’) which Arnold Schoenberg had set to even more controversial music than Walton’s in 1912 *. The first performance of this definitive version of Façade took place on 29 May 1942 at the Aeolian Hall with Lambert as speaker, Walton as conductor and the performers secreted behind a curtain designed by John Piper and painted by Alick Johnson. * In his Pierrot lunaire, Schoenberg used a similar instrumentation to that chosen by Walton. Both require a cellist, a flautist who would also play the piccolo and a clarinettist to would also play the bass clarinet but, whereas Schoenberg had included a violinist doubling on viola and a pianist, Walton opted to complete his ensemble with a saxophonist, a trumpeter and a percussionist. Schoenberg also required his speaker to use the technique known in German as Sprechgesang, that is ‘speech-singing’ and invested more importance in the numerical aspect of his setting of these three times seven poems by giving the work the opus number 21 and requiring seven musicians, including the conductor, to perform it. 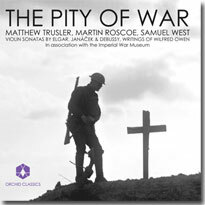 In this recording we wanted particularly to serve Sitwell’s poetry, given the often frenetic tempi set by Walton. I was thrilled when Carole Boyd agreed to take on the role of co-reciter; I had grown up hearing Carole’s voice on audio books and in later years as Lynda Snell in The Archers on BBC Radio 4 and I knew she would bring a Sitwellian quality to the project coupled with an actor’s approach to the text. Between us we went through the numbers, finding opportunities to share them wherever possible as new voices are introduced, which, in Sitwell’s somnambulistic imagination, isn’t always easy to discern. I think it makes this a very collaborative recitation. Sitwell draws deeply on Greek and Roman mythology but real people also share her ethereal world with the nymphs and satyrs. 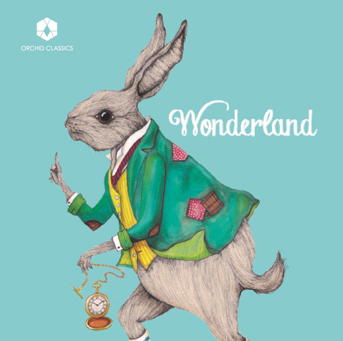 Sir Joshua Jebb (En Famille) was the British Surveyor-General of prisons and helped to design Pentonville, Croesus (Tarantella) was a king, famous for his riches, hence the expression ‘as rich as Croesus’ and Baglioni and Grisi (Valse) were 19th Century Ballerinas – the original Sylphide and a noted Giselle. Valse is a veritable haberdashery of references to fabrics: tarlatine (muslin), balzarine (a blend of cotton and wool), barège (gauze), blond (silk lace) and her colours: retriever red, cassada green, bison black and elephantine grey read like a heritage paint-chart three decades before Farrow & Ball started their business. Carole Boyd trained at the Birmingham School of Speech & Drama, where she won the Carleton Hobbs Award –a six-month contract with the BBC Radio Drama Company. Extensive work in theatre led to her creation of Lynda Snell in The Archers. Voice-overs and audiobooks are a speciality including award-winning recordings of The God of Small Things, Suite Francaise and Middlemarch – but she feels most privileged to have won a Talkie for playing all the female characters in Postman Pat! TV appearances include Minder, Campion, Hetty Wainthrop and the evil Mrs. S. Melly in Bodger and Badger. She is delighted to be a part of this recording. Zeb Soanes is a familiar voice across the BBC. He is a Radio 4 Newsreader for those who wake up to the Today programme and puts the nation to bed with The Shipping Forecast. He is a regular on Radio 4’s The News Quiz, reports for From Our Own Correspondent and has presented Radio 3’s Saturday Classics. On television his voice launched BBC Four, where he presented the BBC Proms. He was the Voice of God in the Britten Centenary production of Noye’s Fludde and concert work includes Peter and the Wolf, Little Red Riding Hood and The Snowman. Sunday Times readers voted him their favourite male voice on UK radio. Born in Gateshead, John Wilson studied composition and conducting at the Royal College of Music, where he was taught by Joseph Horovitz and Neil Thomson. In 2011 he was made a Fellow of the College. A charismatic figure and communicator on the concert platform, known for his vivid interpretations of repertoire ranging from core classical through twentieth-century symphonic repertoire to reconstructions of Hollywood film scores, he has developed long-term affiliations with many major UK orchestras including the Philharmonia, City of Birmingham Symphony and the BBC Orchestras. In 2016/17 he became Associate Guest Conductor of the BBC Scottish Symphony Orchestra. Operatic work includes his debut at Glyndebourne Festival Opera with Madama Butterfly in Autumn 2016.